First, let us start by saying; Happy Parents Day! Congrats, you did it! You have a wonderful child or children and what can be better than taking care of a precious life and watching your tiny human grow? Being a parent is a serious job. The term, “it takes a village,” is pure #truth. Regardless of what your village looks like, your kids have YOU! And we know you can do ANYTHING! KETO//OS® MAX has B vitamins to help you de-stress and regulate your energy levels by appealing to neurotransmitters in the brain. This will keep you zen and ready to conquer the day and be the best parent you can be to your child(ren). It contains Taurine to help calm the brain when things get hectic…because they will! There is nothing harder than Intentional Present Parenting with Patience (IPPP – don’t look it up. We just made this up, but shouldn’t we all do that?!?) when you are tired. Did you know that when your energy levels are depleted and you are lacking that quality sleep you need, you are more likely to lose self-control? This means you’re more apt to be irritable (and even more prone to late night snacking). 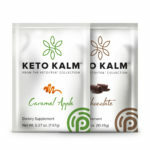 KETO//KALM™ is your best bet to Keep Kalm and Parent On. The 5-Htp in Keto//Kalm™ is a precursor to melatonin, so it naturally calms your body and allows it to optimize its own natural production of melatonin. It can be taken midday to help bring those stress levels down, or it can be taken at night before bed to ensure a quality night sleep. You are a superhero in the eyes of your children (and us! ), so be present them and give them the best version of yourself so they can learn how to be the best version of themselves! -Try gratitude journaling. Show them that you are grateful for them and they will show you their gratitude. -Put your phone down and talk to them; be firm and honest; be fun and light-hearted. -Don’t worry about things that are outside of your control and they won’t either. -Be in control of your emotions and your future so they will learn to be in control of their own destiny. So ketonites, find your own way to stay balanced and positive with your kids. Be sure to check out how you can include your kids in your Prüvit journey. 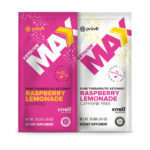 You’ve found a better way through Pure Therapeutic Ketones®, your kids deserve BETTER too! Take them along to our Kids Pursuing Better Event in Dallas! You can learn more about tickets and pricing on our website or by following this convenient link! Now get out there and have an awesome PARENTS DAY! What products do you recommend to get started?